1、What is DJI Enterprise Shield? DJI Enterprise Shield is a service plan specially designed for DJI Enterprise drones. 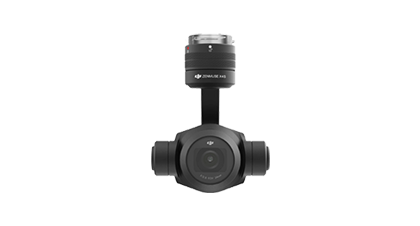 Providing complete accidental coverage and premium protection options that allow unlimited drone replacements - DJI Enterprise Shield offers the most comprehensive reassured flying experience ever developed specifically for the needs of commercial drone fleets. DJI Enterprise Shield allows you to fly with peace of mind and focus on the task at hand. Enterprise Shield Basic comes into effect at 0:00 on the start date and expires at 24:00 on the expiration date, as specified in the service agreement. For damage to drones or payloads caused by operator error or accident during normal use and operation. Two replacements are offered, and each replacement costs a small additional fee. 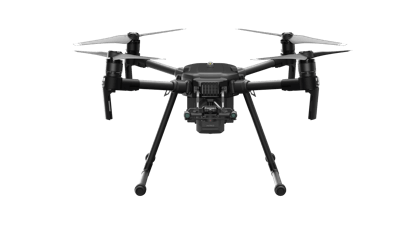 Supported models include the Matrice 200(Matrice 200 V2), Matrice 210(Matrice 210 V2), Matrice 210 RTK(Matrice 210 RTK V2), Phantom 4 RTK, Mavic 2 Enterprise Series, Zenmuse Z30, Zenmuse X4S, and Zenmuse X5S. Enterprise Shield Plus comes into effect at 0:00 on the activation date and expires at 24:00 on the expiration date as specified in the service agreement. Free repair or replacement service is available for damage to drones or payloads due to operator error or accident during normal use and operation. Matrice 200, Matrice 210, Matrice 210 RTK,Phantom 4 RTK , Zenmuse Z30, Zenmuse X4S, and Zenmuse X5S. DJI requires the original product to be returned as part of the replacement process. The original product will become property of DJI. Replacement products sent by DJI become property of the coverage owner. A fee equivalent to the damage assessment cost for the original product will be deducted from the owner’s total coverage amount. Zenmuse XT and Zenmuse XT2: Only free repair services will be provided. To prevent interruptions to your workflow, you can choose to have a backup device provided by DJI sent to you while your product is under repair. The backup device has the equivalent function to the original device as well as the performance and reliability of a brand-new product (replacement devices may have minor cosmetic defects). Following the repair of your device, an amount equivalent to the repair fee will be deducted from your coverage amount. Loaned payloads need to be exchanged with repaired payloads. If during the loan period backup payloads are damaged, DJI will deduct an amount equivalent to the repair fees for the loan device from your coverage amount. 2、What is the difference between DJI Enterprise Shield Basic and Enterprise Shield Plus? 1) Number of replacements: A maximum of two replacements are provided for one year for Enterprise Shield Basic. Unlimited number of replacements for one year within the guaranteed coverage amount are provided for owners of Enterprise Shield Plus. 2) Replacement fee: Enterprise Shield Basic requires a separate fee paid for two replacements, while replacements for Enterprise Shield Plus are provided free of charge. 3) Logistics service: Enterprise Shield Plus replacement service provides overnight delivery, while Enterprise Shield Basic provides free land freight. 4) Additional services: There are no additional services for Enterprise Shield Basic. Free use of a backup device is available for Enterprise Shield Plus. 5) Shared coverage: Coverage amount can be shared between different models for Enterprise Shield Plus. Coverage cannot be shared under Enterprise Shield Basic. 6) Service mode: Under Enterprise Shield Basic, two paid replacement services will be provided to coverage owners. Under Enterprise Shield Plus, free repair and unlimited replacement services within the limit of the coverage amount are available to coverage owners. 7) Coverage: For Enterprise Shield Plus, a fee equivalent to the damage assessment cost for the original product is deducted from the coverage amount. Under Enterprise Shield Basic, the coverage amount is not used for deduction. 3、Is there a limit on the number of uses for DJI Enterprise Shield? If you have purchased Enterprise Shield Plus, no limit is imposed on the number of replacements, as long as the accumulated repair amount does not exceed the total coverage amount. No additional charge is required for replacements under Enterprise Shield Plus. Enterprise Shield Basic comes into effect at 0:00 on the start date and expires at 24:00 on the expiration date, as specified in the service agreement. You can enjoy two replacement services. 4、Which kind of drone or payloads will be provided by DJI Enterprise Shield replacement service? You will receive a replacement device with the equivalent performance and reliability of a brand-new product (replacement devices may have minor cosmetic defects). 5、What is the coverage period of DJI Enterprise Shield? The service comes into effect at 0:00 on the start date and expires at 24:00 on the expiration date, as specified in the service agreement. 6、What kind of drone or payloads are eligible for DJI Enterprise Shield? 1. Brand-new drone or payload that is not activated. 2. Drone or payloads activated for less than 48 hours. 7、Can I buy both Enterprise Shield Basic and Enterprise Shield Plus at the same time for one drone? No. Currently, only one of the two DJI Enterprise Shield packages can be purchased and bound to any drone or payload. 8、What parts are covered by DJI Enterprise Shield? For any damage to your DJI Enterprise drone or payload due to accidents during normal operation within the coverage term of Enterprise Shield Basic, replacement service is offered according to these terms and conditions and is available for a service fee. The replacement device provided has the equivalent performance and reliability to that of a brand-new product (replacement devices may have minor cosmetic defects). Enterprise Shield Basic is applicable to the Matrice 200 (Matrice 200 V2), Matrice 210 (Matrice 210 V2), Matrice 210 RTK(Matrice 210 RTK V2), Phantom 4 RTK, Mavic 2 Enterprise Series, Zenmuse Z30, Zenmuse X4S, and Zenmuse X5S. For the Matrice 200(Matrice 200 V2), the drone’s body and propellers are covered. (The propellers must be sent back with the drone, or the replacement service will not be provided). 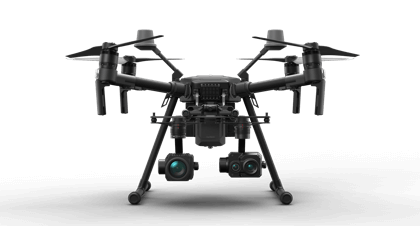 Matrice 210(Matrice 210 V2) and Matrice 210 RTK(Matrice 210 RTK V2) drone body, propellers, external GPS, top-mounted single gimbal fixtures, and bottom-mounted dual gimbals are covered. 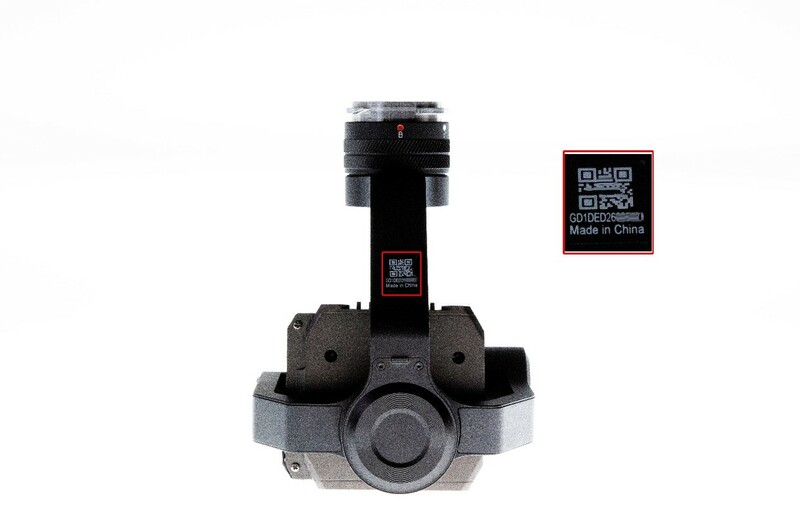 External GPS, top-mounted single fixtures and bottom-mounted dual gimbals (These components must be sent back with the drone or replacement service will not be provided). The Phantom 4 RTK’s aircraft body, gimbal, battery, and propellers are covered. Batteries and propellers need to be sent back with the aircraft and gimbal for replacement, as they cannot be replaced if sent separately. For Mavic 2 Enterprise SeriesL, the aircraft’s body, bound gimbal and camera, battery and propellers are covered. Batteries and propellers need to be sent back with the aircraft and gimbal for replacement, as they cannot be replaced if sent separately. Covered parts of the Zenmuse Z30, Zenmuse X4S, and Zenmuse X5S include the gimbal and camera (including lens). If your drone or payload is damaged due to crash, crushing, and/or collision caused by operator error or other accidents and you send it back within the coverage period, you can get it replaced at one of DJI’s official repair centers within the specified coverage period of Enterprise Shield Basic. Under Enterprise Shield Basic, DJI requires the original product to be returned as part of the replacement process. The original product becomes property of DJI. Replacement products sent by DJI become property of the coverage owner. Coverage owners are required to pay a fee for replacement service. Enterprise Shield Basic only provides service in the country or region where it is purchased. For any damage to your DJI Enterprise drone or payload due to accidents during normal operation within the service terms of Enterprise Shield Plus, free repair or replacement service offered will be charged by deducting the required fee from your coverage amount. If replacement is required, you will receive a replacement device with the equivalent performance and reliability of a brand-new product (replacement devices may have minor cosmetic defects). For the Matrice 200, Drone body and propellers are covered. The propellers must be sent back with the drone, or the replacement service will not be provided. 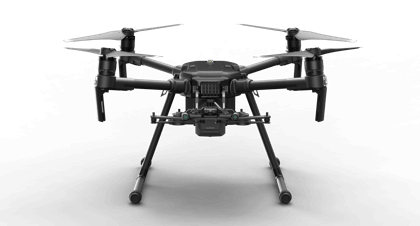 For the Matrice 210 and Matrice 210 RTK, the aircraft’s body, propellers, external GPS, top-mounted single gimbal fixtures, and bottom-mounted dual gimbals are covered. The external GPS, top-mounted single gimbal fixtures, and bottom-mounted dual gimbals must be sent back with the aircraft, or the replacement service will not be provided. Zenmuse Z30, Zenmuse X4S, and Zenmuse X5S, Zenmuse XT, and Zenmuse XT2, the and payload (including lens) are covered under this plan. If your drone or payload is damaged due to falling, crushing, and collision caused by operator error or other accidents and it is sent back within the coverage period of service, you can get it repaired or replaced at DJI’s repair center within the specified coverage area of Enterprise Shield Plus. If you choose to use Enterprise Shield Plus, DJI will provide free repair services or replacements services within the specified coverage amount. Matrice 200, Matrice 210, Matrice 210 RTK,Phantom 4 RTK, Zenmuse Z30, Zenmuse X4S, and Zenmuse X5S, replacement service is provided. DJI requires the original product to be returned as part of the replacement process. Original products sent for replacement become property of DJI. Replacement products sent by DJI become property of the coverage owner. A fee equivalent to the damage assessment cost for the original product will be deducted from the coverage amount. Zenmuse XT and Zenmuse XT2: Only free repair services will be provided. 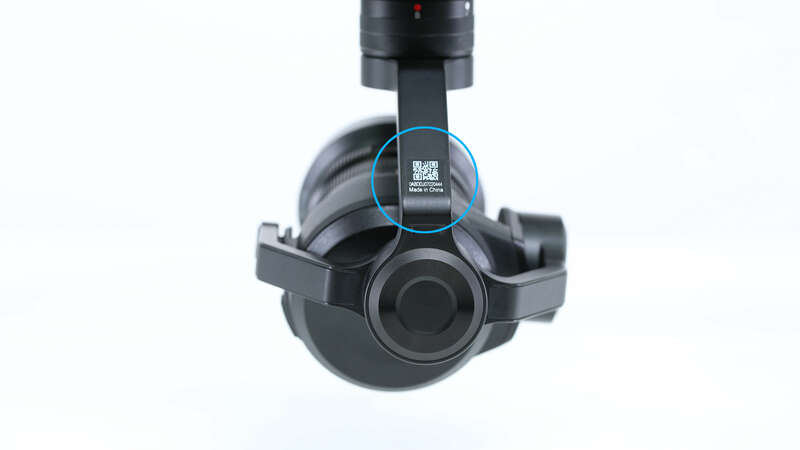 To prevent your aerial work from being interrupted, you can choose to use a free backup device provided by DJI when your product is under repair. The backup device has the equivalent function to the original device as well as the performance and reliability of a brand-new product (replacement devices may have minor cosmetic defects). Following repair of your device, an amount equivalent to the repair fee will be deducted from your coverage amount. The loaned payloads will need to be exchanged with repaired payloads. If during the loan period backup payloads are damaged, DJI will deduct an amount equivalent to the repair fees for the loan device from your coverage amount. Enterprise Shield Plus only provides service in the country or region where it is purchased. 9、 Is there a deductible for the DJI Enterprise Shield? 10、Do I have to bind DJI Enterprise Shield to my drones and payloads? If you have purchased the activation card for DJI Enterprise Shield, contact your local dealer and provide your activation code and serial number (of your drone or payload) to activate and bind it to your device. 11、If I have two drones and buy DJI Enterprise Shield for both of them, can their coverage amount be shared? If you have purchased, activated, and bound Enterprise Shield Plus with several drones at the same time, you can choose whether to share the coverage amount or not. 1) Under Enterprise Shield Basic, the number of replacements for multiple drones or payloads cannot be shared. 2) If you have only one DJI drone and purchase Enterprise Shield Plus, the coverage amount cannot be shared with other drones not purchased and bound to Enterprise Shield Plus. 3) The coverage amount sharing service of Enterprise Shield Plus is only available for drones or payloads that the Enterprise Shield Plus coverage plan is purchased, activated, and bound with at the time of purchase. Coverage amounts cannot be shared in any other case. 12、Can I buy DJI Enterprise Shield again after its coverage period expires? Currently, DJI Enterprise Shield can be purchased only once for one drone or payload. 13、Where is DJI Enterprise Shield available? The service is available in Mainland China, USA, Canada, the European Union,Britain,and Australia. The service varies in different areas (in the European Union, Britain,and Australia, only Enterprise Shield Basic for the Matrice 200 (Matrice 200 V2), Matrice 210(Matrice 210 V2) ，Matrice 210 RTK(Matrice 210 RTK V2)， Phantom 4 RTK and Mavic 2 Enterprise Series is available). You can contact your nearest dealer for more details. 14、Does Enterprise Shield Basic have a global warranty? No global warranty is available under DJI Enterprise Shield. Please send your drone to your specified local repair center for replacement and repair. For example: If you have a U.S. version DJI Enterprise Shield, you can only have your device repaired or replaced for free at DJI’s after-service repair centers in the U.S.
15、Does DJI Enterprise Shield cover water-damaged drone or payloads? Yes, water damaged drones or payloads are covered by DJI Enterprise Shield. If your drone or payload has water damage, you are eligible for free repair or replacement service. 16、How can I replace my device using DJI Enterprise Shield? DJI Enterprise Shield service will be bound with the serial number of your drones or payloads. If you need any replacement service, you can go to the support page on DJI’s official website to set up the Online Repair Request service or contact DJI Support at http://www.dji.com/support. After sending your application, send your device to the designated DJI repair center. The serial number of the replaced drone or payload will be automatically updated in the system and your service will not be affected. 17、How to check the serial number of my drone or payload? 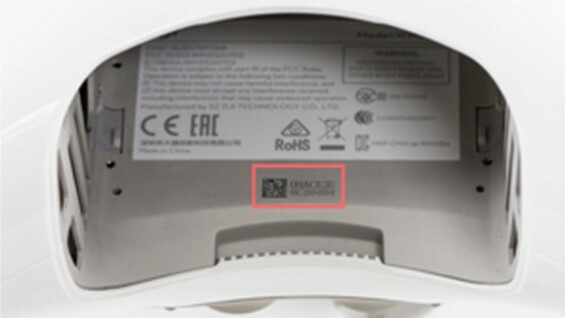 Serial number of Matrice series is on the inside of the central Board. Serial number of Phantom 4 RTK is on the inside of the battery compartment. Serial number of Mavic 2 Enterprise Series is on the inside of the battery compartment. 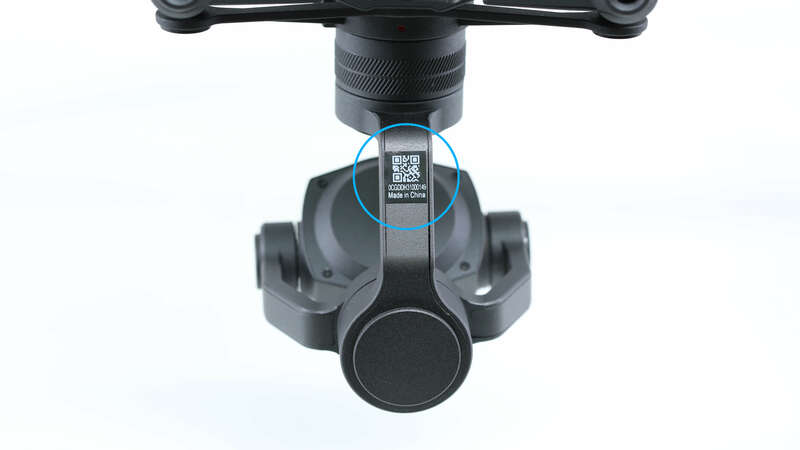 Serial number of Zenmuse Z30 is on the gimbal axis. 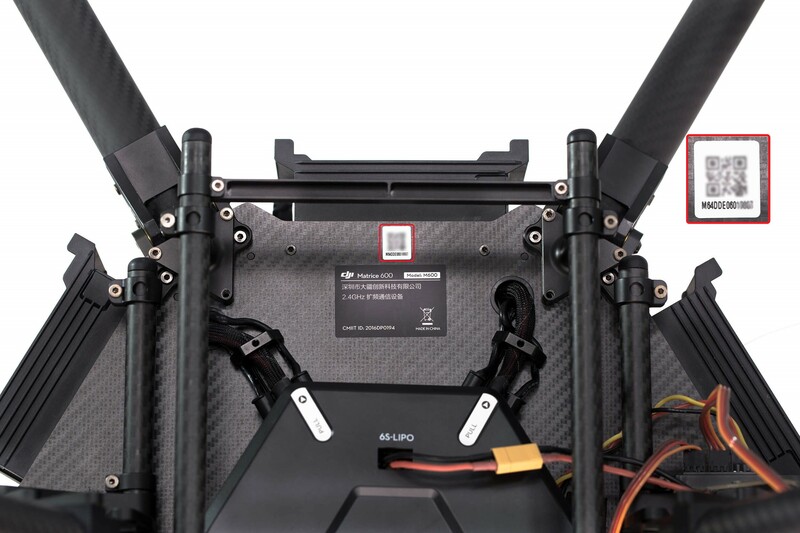 Serial number of Zenmuse X4S and Zenmuse X5S is on the gimbal axis. 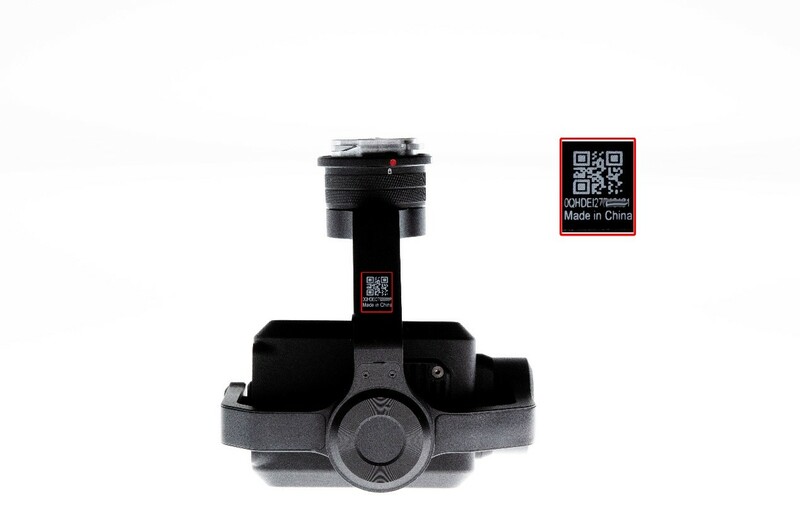 Serial number of Zenmuse XT and Zenmuse XT2 is on the gimbal axis. 18、How can I confirm whether the damage to my drone or payload is covered by DJI Enterprise Shield? After receiving your defective drone or payload, we will assess the damage and check the drone and/or payload serial number and agreement number to confirm that you have purchased DJI Enterprise Shield to check whether the damages to your drone or payload is within the coverage period of DJI Enterprise Shield. 19、After replacement, my product’s serial number is different. Does this affect my service? Will my coverage period be recalculated? If the serial number changes during repair or replacement, it will be updated on the system and won’t have any effect on future services. The coverage period will not be recalculated and will remain subject to your service agreement. 1. You have been informed about and agreed to these terms before you purchase this service. 2. This service comes into effect at 0:00 on the start date and expires at 24:00 on the expiration date, as specified in the service agreement provided by DJI after you purchase one of the DJI Enterprise Shield packages. 3. This service is provided by SZ DJI Technology Co., Ltd. or its designated affiliates (hereinafter referred to as the “Company” or “DJI”). In order to ensure better use of DJI drones and payloads to provide a more reassured flying experience, DJI Enterprise Shield service plan offers coverage for the Matrice 200 series, Phantom 4 RTK, Mavic 2 Enterprise，Mavic 2 Enterprise DUAL and Zenmuse series to provide free repair or replacement service for damage to drones, or payloads arising from normal use or operation. For any damage to your DJI Enterprise drone or payload due to accidents during normal operation within the term of Enterprise Shield Basic, replacement service offered by DJI according to these terms and conditions is available for a service fee. The replacement device provided has the equivalent performance and reliability to that of a brand-new product (replacement devices may have minor cosmetic defects). 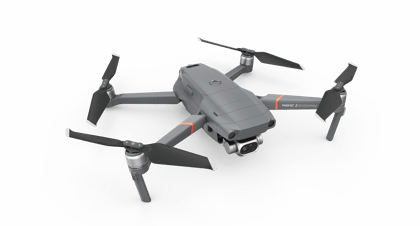 Enterprise Shield Basic is offered for the Matrice 200 (Matrice 200 V2), Matrice 210 (Matrice 210 V2), Matrice 210 RTK (Matrice 210 RTK V2),Phantom 4 RTK, Mavic 2 Enterprise Series, Zenmuse Z30, Zenmuse X4S and Zenmuse X5S. Matrice 200 (Matrice 200 V2) - Aircraft body and propellers. The propellers must be sent back with the drone or the replacement service will not be provided. Matrice 210 (Matrice 210 V2) & Matrice 210 RTK (Matrice 210 RTK V2) - Aircraft body, propellers, external GPS, top-mounted single gimbal fixtures, and bottom-mounted dual gimbals. 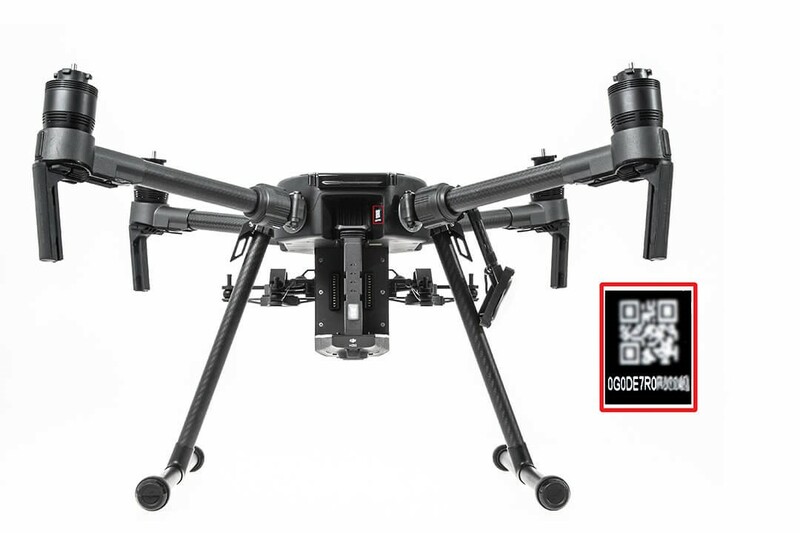 External GPS, top-mounted single gimbal fixtures, and bottom-mounted dual gimbals must be sent back with drone, or replacement service will not be provided. The Phantom 4 RTK - Aircraft body, gimbal, battery, and propellers. Batteries and propellers need to be sent back with the aircraft and gimbal for replacement, as they cannot be replaced if sent separately. Mavic 2 Enterprise Series - Aircraft bound gimbal and camera, battery and propellers. Batteries and propellers need to be sent back with the aircraft and gimbal for replacement, as they cannot be replaced if sent separately. Covered components of the Zenmuse Z30, Zenmuse X4S, and Zenmuse X5S include gimbal and camera (including lens). If your drone or payload is damaged due to crash, crushing, and/or collision caused by operator error or other accidents and it is sent back within your coverage period, you can get it replaced at one of DJI’s official repair centers within the specified coverage period of Enterprise Shield Basic. Under Enterprise Shield Basic coverage, DJI requires the original product to be returned as part of the replacement process. The original product will become the property of DJI. Products sent by DJI become property of the coverage owner and require a replacement service payment fee. Enterprise Shield Basic only provides service in the country or region where it is purchased. For any damage to your DJI Enterprise drone or payload due to accidents during normal operation within the service terms of Enterprise Shield Plus, free repair or replacement service offered will be charged by deducting the required repair/replacement fees from your coverage amount. Matrice 200 – Drone body and propellers. The propellers must be sent back with the drone or the replacement service will not be provided. 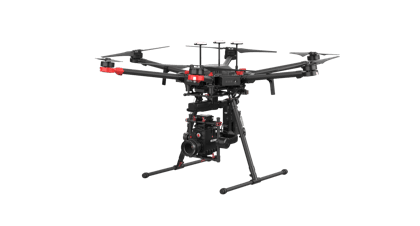 Matrice 210 & Matrice 210 RTK - Drone body, propellers, external GPS, top-mounted single gimbal fixtures, and bottom-mounted dual gimbals. 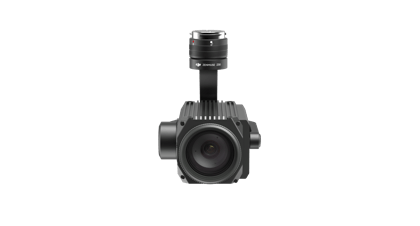 External GPS, top-mounted single gimbal fixtures, and bottom-mounted dual gimbals must be sent back with drone, or the replacement service will not be provided. 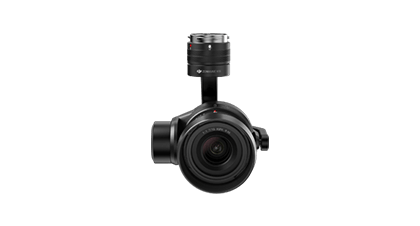 Zenmuse Z30, Zenmuse X4S, and Zenmuse X5S, Zenmuse XT, and Zenmuse XT2, gimbals and cameras (including lens) are covered under Enterprise Shield Plus. If your drone or payload is damaged due to falling, crushing, or collision caused by operator error or other accidents and is sent back within the coverage period, you can get it repaired or replaced at DJI’s repair center within the specified area of Enterprise Shield Plus. Under Enterprise Shield Plus, DJI provides free repair/replacement within coverage limit amounts. Matrice 200, Matrice 210, Matrice 210 RTK, Phantom 4 RTK,Zenmuse Z30, Zenmuse X4S, and Zenmuse X5S. DJI requires the original product be returned as part of the replacement process. Products sent to DJI for replacement become property of DJI. Replacement products sent by DJI become property of the coverage owner and require a replacement service payment fee. Enterprise Shield Plus only provides service in the country or region where it is purchased. Replacement service for Zenmuse XT and Zenmuse XT2 is not offered: Only free repair service is provided. To prevent workflow interruptions, you can choose to use a free backup device provided by DJI when your product is under repair. The backup devices have the equivalent function to the original device as well as the performance and reliability of a brand-new product (backup devices may have minor cosmetic defects). An amount equivalent to the repair fee will be deducted from your coverage amount. Loaned gimbals and cameras need to be exchanged with the repaired camera. If during the loan period, the backup camera payload is damaged, DJI will deduct an amount equivalent to the repair fees for the loan device from your coverage amount. 19. Damages due to unauthorized repair of assembly parts by customers. 1. Enterprise Shield Basic provides two replacements. After two replacements, it should be considered that DJI has completely fulfilled its obligations under this Enterprise Shield Basic Service Agreement and the Enterprise Shield Basic service is thus terminated. 2. Under Enterprise Shield Basic, replacement service provides a replacement device that has the equivalent performance and reliability to that of a brand-new product (replacement devices may have minor cosmetic defects). 3. DJI replacement coverage requires the original product to be returned as part of the replacement process. Products sent to DJI for replacement become property of DJI. Replacement products sent by DJI become property of the coverage owner. 1. Enjoy unlimited replacement service as long as the coverage amount of Enterprise Shield Plus bound to your drone or payload is not met or exceeded. When coverage amount is met, it should be considered that DJI has completely fulfilled its obligations under this Enterprise Shield Plus Agreement and Enterprise Shield Plus service is thus terminated. 2. If you choose to use Enterprise Shield Plus replacement service, you will receive a replacement device that has the equivalent performance and reliability to that of a brand-new product (replacement devices may have minor cosmetic defects). 3. Enterprise Shield Plus replacement coverage requires the original product to be returned as part of the replacement process. Products sent to DJI for replacement become property of DJI. Replacement products sent by DJI to customer become property of the coverage owner. 4. Replacement service for Zenmuse XT and Zenmuse XT2 is not offered: Only free repair services will be provided. To prevent workflow interruptions, you can choose to use a free backup device provided by DJI when your product is under repair. The backup devices have equivalent function to the original device as well as the performance and reliability of a brand-new product (backup devices may have minor cosmetic defects). An amount equivalent to the repair fee will be deducted from your coverage amount. Loaned payloads need to be exchanged with the repaired components after repaired payload is returned to coverage owner. If during the loan period, the backup payload is damaged, DJI will deduct an amount equivalent to the repair fees for the loan device from your coverage amount. Product replacement fee: Once payment for Enterprise Shield Basic coverage is made, you can enjoy up to two replacements within your coverage period. Each replacement requires a small additional replacement fee. Logistics and taxes: If your location is not within the coverage area of Enterprise Shield Basic, when using this service plan, DJI will cover the logistic fees for your device to be shipped to the coverage area within your country. Postage fees and taxes incurred from shipping to the customer’s area are not covered by DJI. DJI is entitled to refuse to provide service for circumstances not meeting the above conditions. Matrice 200/Matrice 200 V2: $569 for the first replacement and $599 for the second replacement. Matrice 210/Matrice 210 V2: $899 for the first replacement and $1,099 for the second replacement. Matrice 210 RTK/Matrice 210 RTK V2: $1299 for the first replacement and $1,499 for the second replacement. 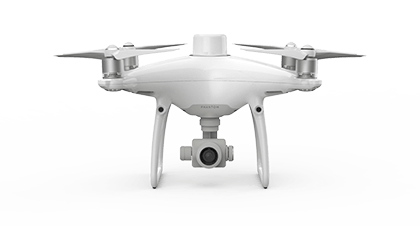 Phantom 4 RTK: $299 for the first replacement and $399 for the second replacement. Mavic 2 Enterprise: $149 for the first replacement and$189 for the second replacement. Mavic 2 Enterprise DUAL: $249 for the first replacement and $289 for the second replacement. Zenmuse Z30: $239 for the first replacement and $369 for the second replacement. Zenmuse X4S: $49 for the first replacement and $69 for the second replacement. Zenmuse X5S: $149 for the first replacement and $219 for the second replacement. Matrice 200/Matrice 200 V2:€639for the first replacement and€699 for the second replacement. Matrice 210/Matrice 210 V2:€809 for the first replacement and€899 for the second replacement. Matrice 210 RTK/Matrice 210 RTK V2:€929 for the first replacement and€999 for the second replacement. Phantom 4 RTK: €299 for the first replacement and €399 for the second replacement. Mavic 2 Enterprise: €159 for the first replacement and€209for the second replacement. Mavic 2 Enterprise DUAL: €269 for the first replacement and€309for the second replacement. Matrice 200/Matrice 200 V2: £579for the first replacement and £599for the second replacement. Matrice 210/Matrice 210 V2: £739 for the first replacement and £799 for the second replacement. Matrice 210 RTK/Matrice 210 RTK V2: £819for the first replacement and £899 for the second replacement. Mavic 2 Enterprise: £129 for the first replacement and£199 for the second replacement. Mavic 2 Enterprise DUAL: £249 for the first replacement and £299 for the second replacement. Matrice 200/Matrice 200 V2: AUD 889 for the first replacement and AUD 929 for the second replacement. Matrice 210/Matrice 210 V2: AUD 1199 for the first replacement and AUD 1399 for the second replacement. Matrice 210 RTK/Matrice 210 RTK V2: AUD 1409 for the first replacement and AUD 1499 for the second replacement. Phantom 4 RTK: AUD 499 for the first replacement and AUD 639 for the second replacement. Mavic 2 Enterprise: AUD 329 for the first replacement and AUD 409 for the second replacement. Mavic 2 Enterprise DUAL: AUD 439 for the first replacement and AUD 479 for the second replacement. Product replacement fee: Once payment for Enterprise Shield Plus is made, no additional repair costs are required within the scope of the coverage amount for service within coverage period. Enterprise Shield Plus has no deductible. Logistics and taxes: If your area is not within the coverage of Enterprise Shield Basic when using this service plan, DJI will cover logistic fees for your device to be shipped to the coverage area within your country. DJI does not cover the postage fees and taxes incurred from shipping to the customer’s area. DJI is entitled to refuse to provide service for circumstances not meeting the above conditions. Enterprise Shield Plus coverage amount refers to the value stated in the signed service agreement contract. Please check the amount of coverage purchased in the service agreement. Under no circumstances can the repair or replacement fee under Enterprise Shield Plus exceed the coverage amount. Any costs exceeding the coverage amount will not be covered by DJI. When accumulated repair or replacement fees for your DJI drone reaches the coverage amount, it should be considered that DJI has completely fulfilled its obligations under this Enterprise Shield Plus Service Agreement and the Enterprise Shield Plus service is thus terminated. Enterprise Shield Plus Shared Coverage is only available for drones or payloads (covered by Enterprise Shield Plus) that are activated and bound at the time of purchase. Current models eligible for coverage amount sharing under Enterprise Shield Plus include: Matrice 200, Matrice 210, Matrice 210 RTK,Phantom 4 RTK,Zenmuse Z30, Zenmuse X4S and Zenmuse X5S, Zenmuse XT, and Zenmuse XT2. Coverage amounts cannot be shared with any other models. The service plan comes into effect at 0:00 on the start date listed in the service agreement provided by DJI after purchase of one of the DJI Enterprise Shield packages and expires at 24:00 on the date of expiration. 1. For damages covered within the terms and conditions of your DJI drone, or payload, you can go to DJI’s repair services webpage to apply for “Online Repair Request” or contact DJI Support at http://www.dji.com/support. 2. Following repair request, send your drone or payload to the designated repair center. The items to be sent are subject to the service coverage of the DJI Enterprise Shield service you purchased. 1)	Please do not send back your remote controller, battery charger or other parts not within the coverage of DJI Enterprise Shield, to avoid unrelated expenses not covered under this terms of service. 2)	If you have not sent back all items required, DJI is entitled to refuse to provide service. 3) After confirming that the damages to your device fall within the coverage of DJI Enterprise Shield, DJI will send you a repair fee quotation. You can then choose to have your product repaired or replaced. a) Enterprise Shield Basic: After replacement service is selected, you will receive a quotation for replacement. Confirm the quotation, make payment, and DJI will arrange to send the replacement product. b) Enterprise Shield Plus: After the replacement service is selected and DJI determines that replacement meets the terms of the service agreement, DJI will deduct the corresponding fee from the coverage amount under Enterprise Shield Plus and arrange to send the replacement product. For the Zenmuse XT and Zenmuse XT2, only free repair services will be provided. To prevent your aerial work from being interrupted, you can choose to use a free backup device provided by DJI when your product is under repair. The backup device has the equivalent function to the original device as well as the performance and reliability of a brand-new product (backup devices may have minor cosmetic defects). 4. Your DJI Enterprise Shield service region should remain consistent with the purchase area of your drone or payload for you to enjoy replacement service normally. The service plan can only be bound to drones or payloads purchased via official or authorized channel of DJI and used in the country or region selected during your purchase. 5. If your area is not within the coverage of DJI Enterprise Shield, when using this service plan, DJI will cover the logistic fees for your device to be shipped to the coverage area within your country. DJI does not cover the postage fees and taxes incurred from shipping to the customer’s area. DJI is entitled to refuse to provide service for circumstances not meeting the above conditions. 2) You have used both replacement opportunities under the Enterprise Shield Basic service bound with your drone. 2)	You have reached the coverage amount under the Enterprise Shield Plus service bound to your drone. 5) You have applied on your own initiative to cancel the DJI Enterprise Shield service with confirmation by DJI. 1. If you return your device according to DJI’s return policy, you may apply to cancel the DJI Enterprise Shield service. 2. The DJI Enterprise Shield service cannot be cancelled without the return of your DJI drone or payload. 3. Once you start using the DJI Enterprise Shield service, it cannot be canceled. 4. DJI Enterprise Shield cannot be transferred once it is purchased. 2) If you have requested a DJI Enterprise Shield service and need to send your product back for replacement or repair. Please make backups of your personal information, remove the SD card, and delete all your personal information from the device. DJI shall not be responsible for any loss or damage to you, or leak of your personal information due to your failure to do so. 3) If you decide to apply for replacement or repair service under DJI Enterprise Shield, you agree that DJI will delete all data and information on the device you send back.